Institute for Breathing and Sleep and Department of Respiratory and Sleep Medicine, Austin Health, Melbourne, Australia; University of Melbourne, Melbourne, Australia. David Berlowitz is a cardio-respiratory and research physiotherapist at the Victorian Respiratory Support Service and the Institute for Breathing and Sleep at the Austin Hospital in Melbourne. His PhD examined sleep and breathing in the first year following acute quadriplegia and found that acute cervical cord injury causes obstructive sleep apnoea. 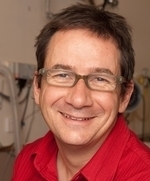 David recently completed a Clinical Post-Doctoral Fellowship from the Transport Accident Commission, was recognised in 2011 as a "Difference Maker" by the Rick Hansen Foundation for his leadership in Spinal Sleep Research and is the Lead Investigator on the five year, Sleep Health in Quadriplegia research program. His other research includes chronic disease management, program evaluation and the use of non-invasive ventilation in ventilatory failure, particularly in Motor Neurone Disease and Obesity Hypoventilation. respiratory, sleep, physiotherapy, neuromuscular disease, spinal cord injury, chronic disease management.